Dr. Rock's Blog & Roll: Album of the Day: Bob Dylan (4/9/69) 41 Years! Rock & pop music from the 60s, 70s and 80s - the BEST music ever made! Brought to you by Dr. Rock, chief musicologist at DrRock.com. Album of the Day: Bob Dylan (4/9/69) 41 Years! 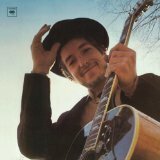 Nashville Skyline wasn’t Bob Dylan’s best album by any stretch, but it did top out at #3 in the U.S. and a surprising #1 on the U.K. charts (find Bob in The Playlist Vault, here). Recorded in Nashville (where else?) with a cadre of local session musicians and released on April 9, 1969, the album includes a duet (a remake of “Girl From The North Country”) with Johnny Cash and reflects the emergence of the country-rock sub-genre and the early shift of pure country music toward the pop mainstream. Nashville Skyline spun three singles onto the pop charts, with “Lay Lady Lay” the only one to see significant chart action. The other two (“Tonight I’ll Be Staying Here With You” and “I Threw It All Away”) were pretty decent slower country tunes, but Dylan wasn’t a country artist and Nashville Skyline was far from a rock album, so one shouldn’t be surprised that the singles didn’t hit. But that’s the whole point. The album was smack in the middle of the early development of country-rock, and Dylan was on the forefront along with the Byrds, Gram Parsons and Neil Young. And Bob Dylan’s best? My money’s on Blonde On Blonde, with Highway 61 Revisited at #2 and Blood On The Tracks #3. Your bias can be registered on DrRock.com. Nashville Skyline can be purchased as a CD or mp3 downloads on Amazon or iPod files on iTunes.